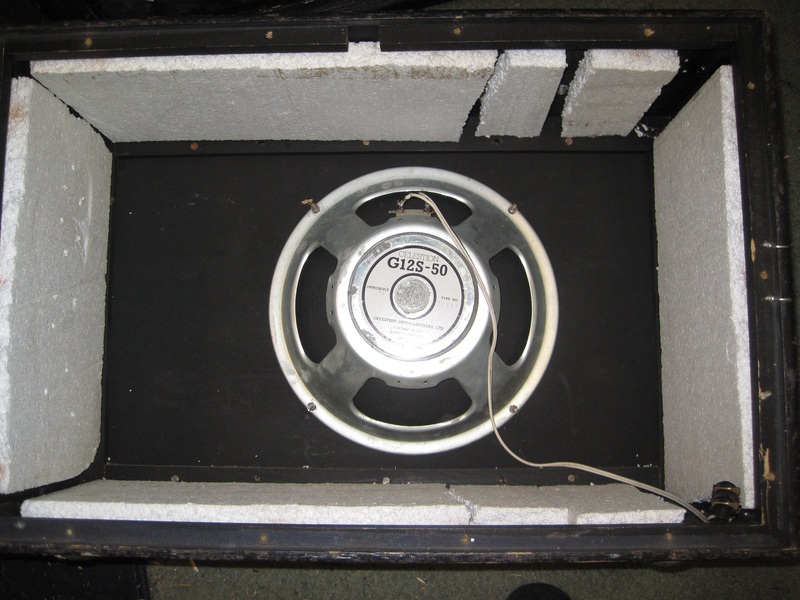 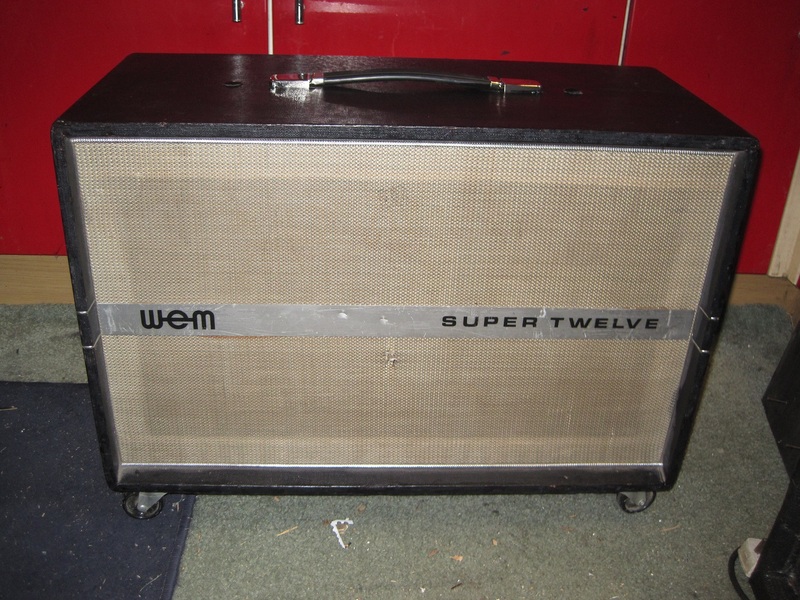 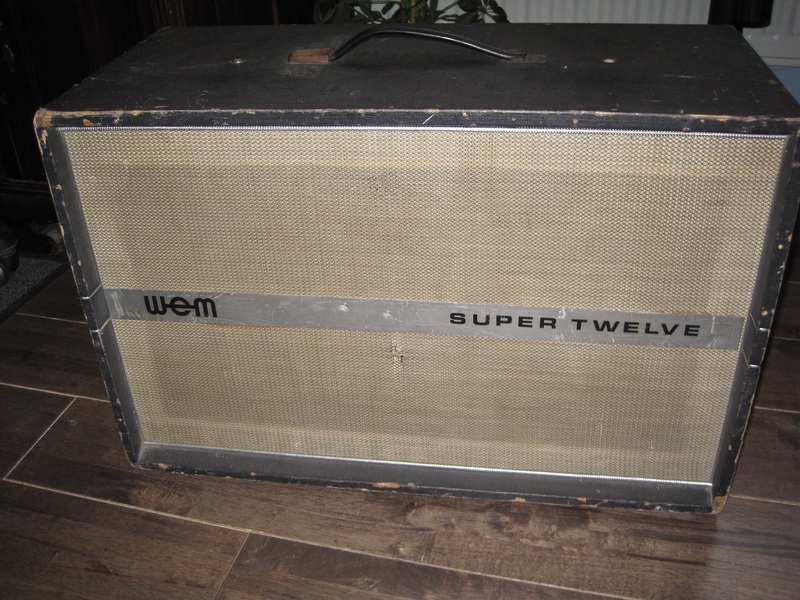 The Super Twelve is very similar in design to the Super 30 bass cab except that it has a 12″ driver rather than a 15″ driver. The first of the two cabs shown on this page was acquired and added to the collection in September 2017. 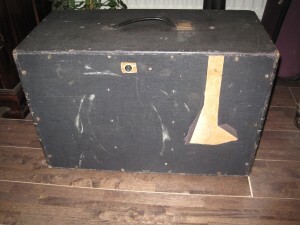 It’s a very early cab from the early to mid 1960s which is confirmed by the very low serial number – 0026. 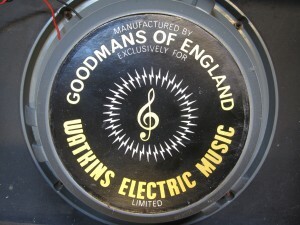 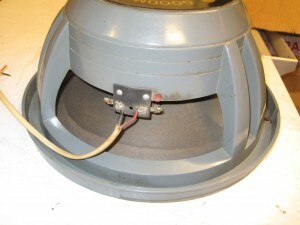 The cab also has its original Goodmans driver which has a label indicating it was made by Goodmans exclusively for WEM. Goodmans only did this in the early days of WEM cabs. 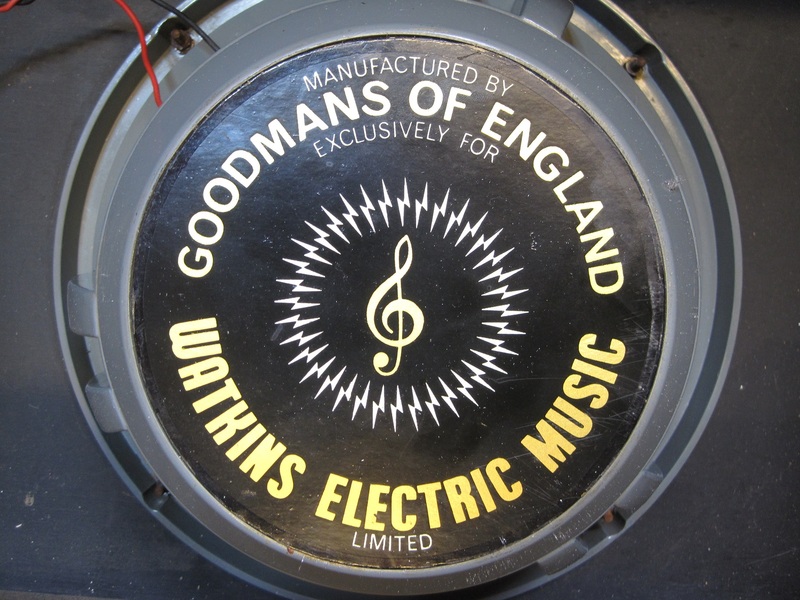 There is no indication of the power handling of the speaker but the WEM brochure from 1965 indicates it is a Goodmans Audiom 61 “with a new specification exclusive to Watkins” so I would assume that it has the standard rating for an Audiom 61 which is 20 watts. 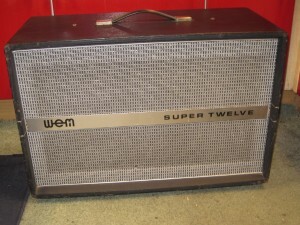 Not particularly loud but ideal for the WEM ER15 head. When I acquired the cab the back panel was missing so the panel shown in the pics is a replacement. 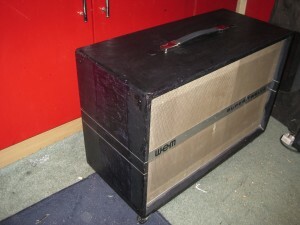 It’s not ideal as the original rexine covering material is no longer available so I had to use modern basketweave tolex instead. 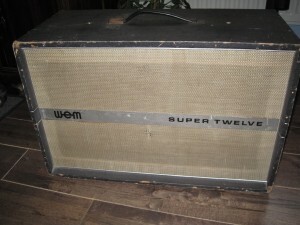 This next cab was an earlier addition to the collection. 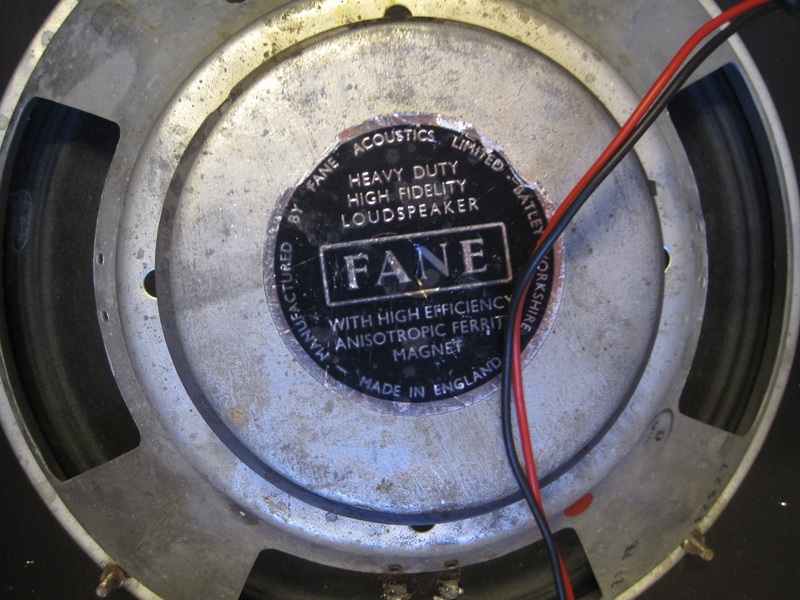 The driver shown is a Fane 12527 but I suspect this is not original. 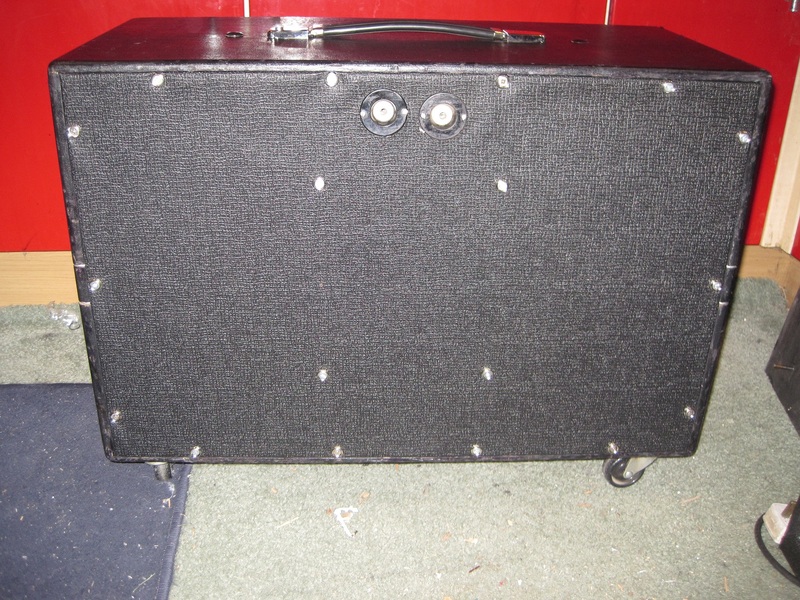 The first pictures show the cab as it was when I received it (Oct. 2016). 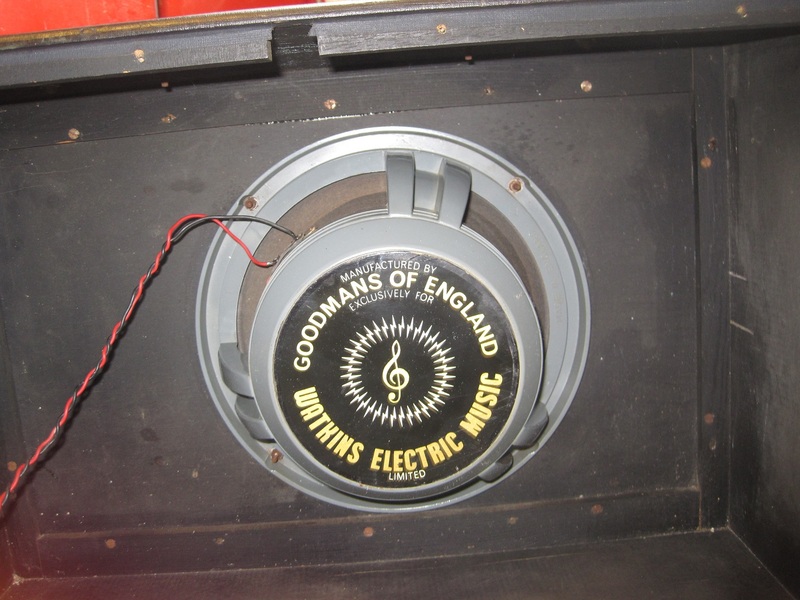 The pictures below the first pictures show the cab as it is now, following some cleaning and restoration. 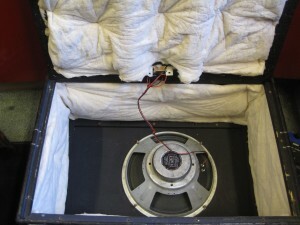 The following pics show the cab as it is now. I cleaned and polished the outside of the cab after first removing as much of the old labels as I could. 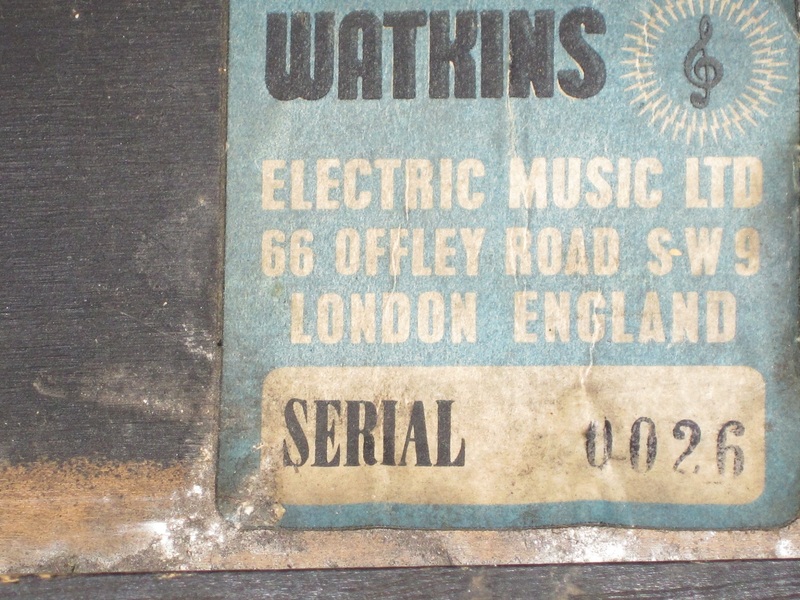 This wasn’t as easy as it sounds as the residue from the labels had gone right into the thin rexine. 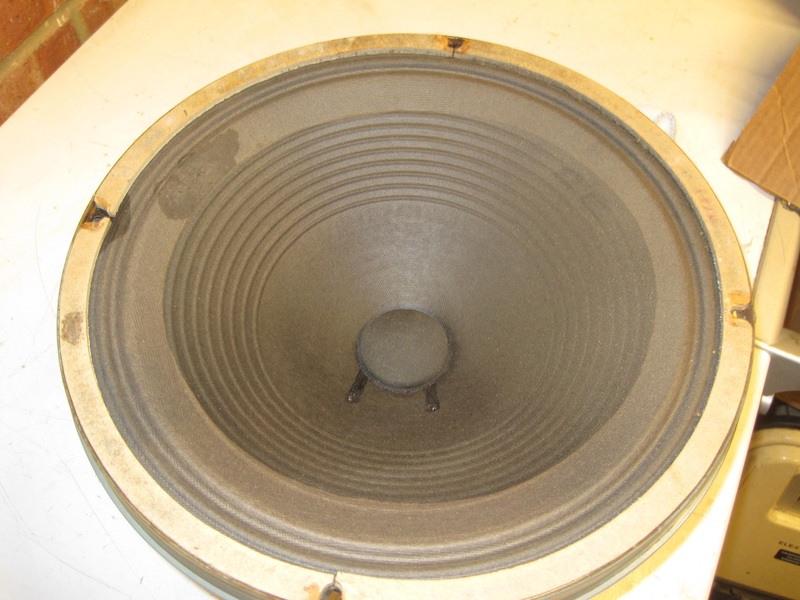 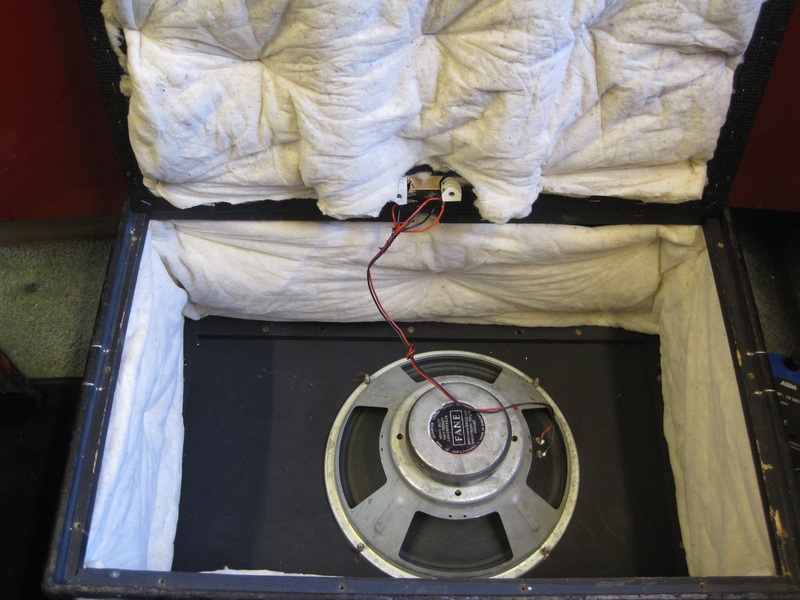 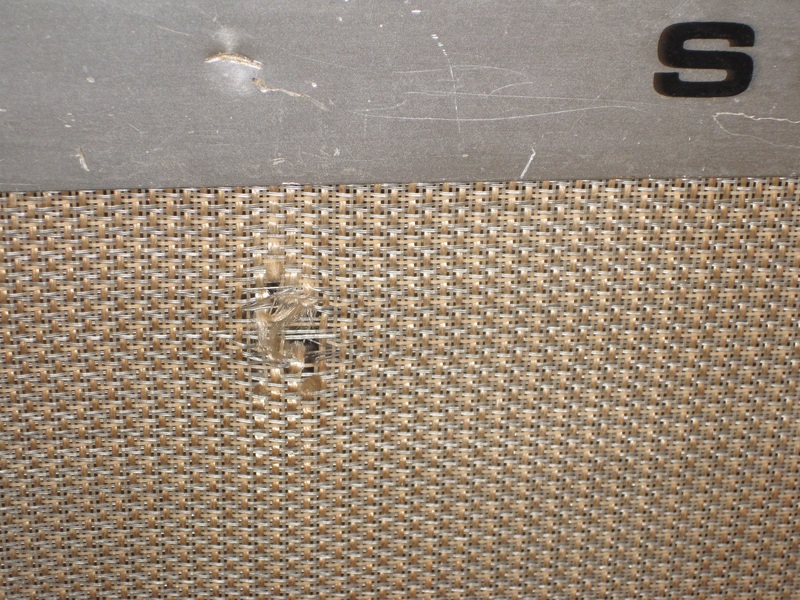 I also removed the polystyrene padding from inside and replaced it with proper speaker wadding. 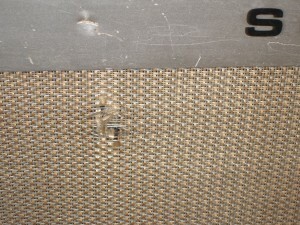 I had to completely recover the back panel as it had a large piece of rexine missing. 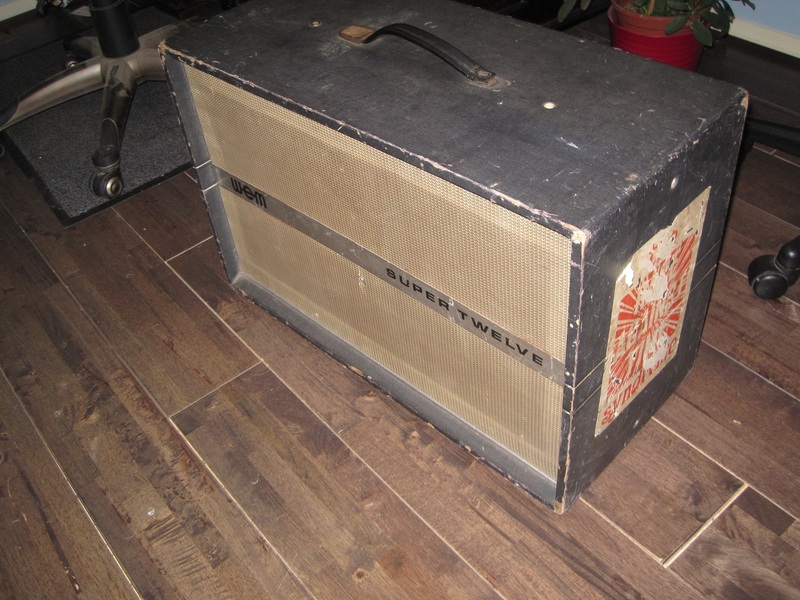 I had to use basket-weave tolex as that was all I had available. 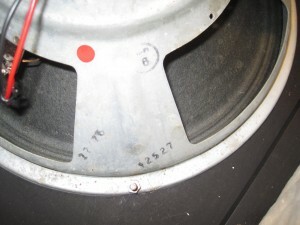 I also fitted dual jack sockets on the back and I replaced all the old corroded screws. 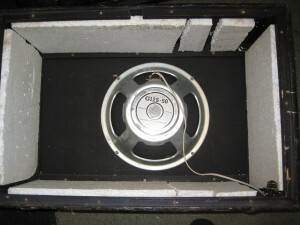 The only other changes were a complete replacement, authentic handle and a set of castors. 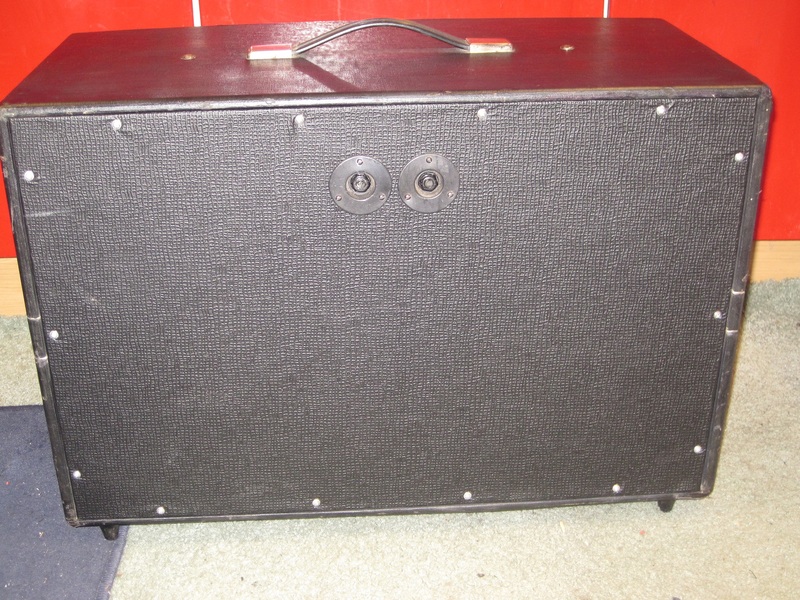 It doesn’t change the fact that it is a 50 year old cab and it’s a long way from being perfect but it looks better and sounds good.